Hello there and welcome to day two of the Clearly Besotted June 2018 Teasers. Today I have two new sets to share with you - Flutter By Me and Brushed Sentiments. 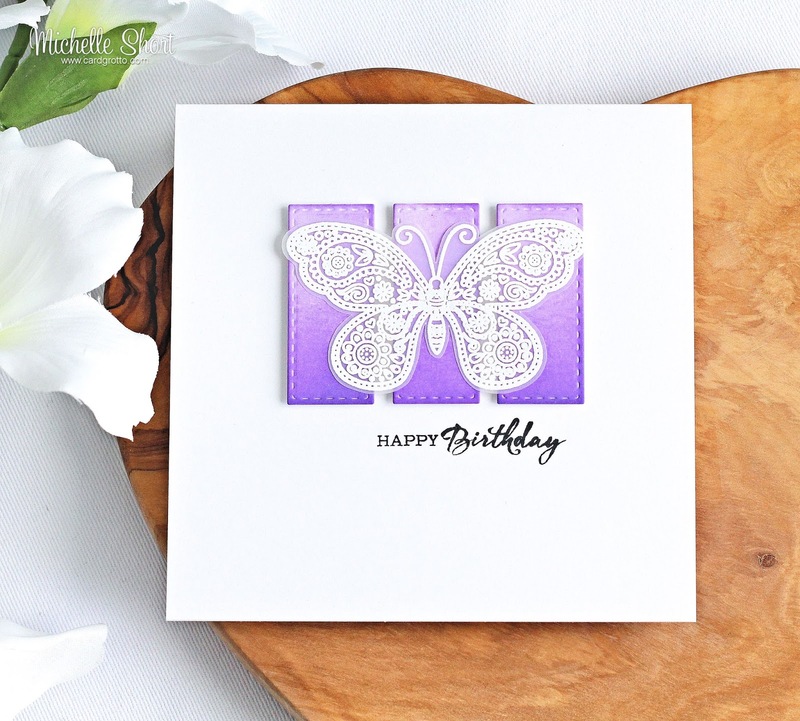 These butterflies are so beautiful and very versatile too. There are both outlines and solid/negative outlines in this set. I started off by stamping the larger of the two butterflies from the Flutter By Me set on to vellum. I used the design with the outlines. I stamped it using Versmark Ink and applied white detail embossing powder. This was then heat set. I fussy cut the image out with scissors, but there will be dies available. 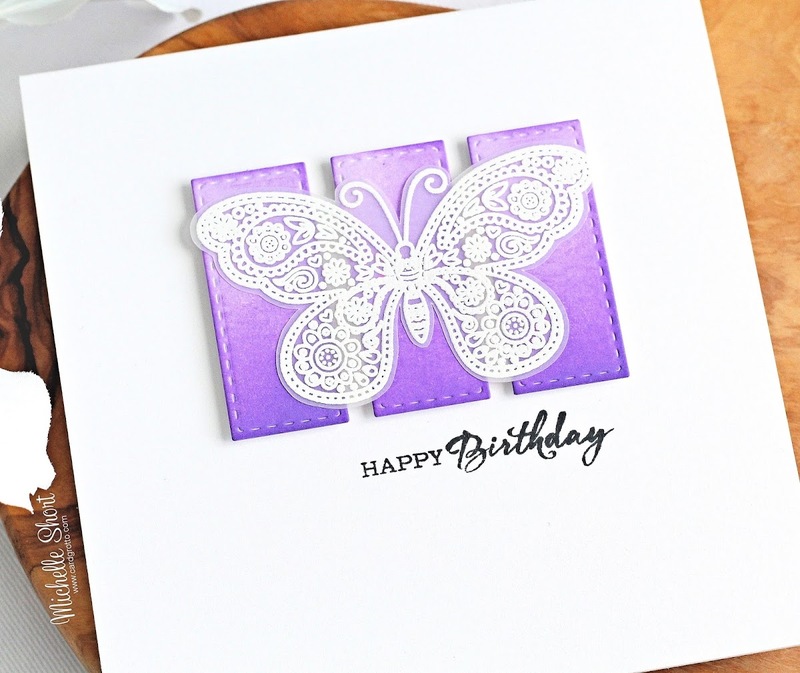 I took a white 5" x 5" card base and stamped the 'happy birthday' sentiment from the new Brushed Sentiments set with black ink on to the front panel. I die cut three rectangles from the SSS Stitched Rectangles die set from watercolour paper. Using an ink blending tool, I applied Wilted Violet Distress Oxide Ink on to the panels. I added darker colour at the bottom, moving to lighter at the top. These were added to the card with foam tape. I then added the butterfly on top with little dots of Multi Medium Matte glue. These butterflies are so pretty and can be used for so many occasions and in different ways. I am looking forward to using them again already! 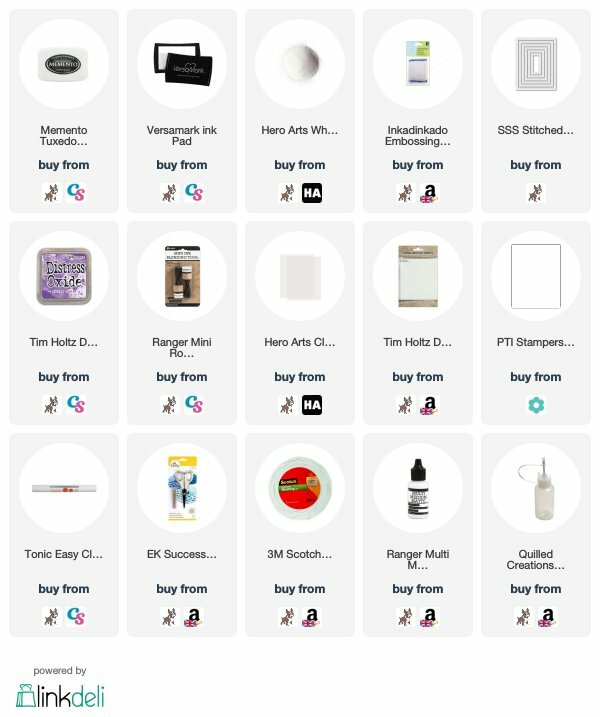 Please do head over to Stephanie to see her amazing creations. She will also have links to all the DT and guests sharing today. Thank you so much for visiting me today, see you tomorrow! Have a great day! Wow! So very pretty! I love this! So pretty! Love that gorgeous butterfly! That’s a very impressive butterfly ! !